Dr. Marco Tavanti, representing the World Engagement Institute (WEI) and its European counterpart, the Sustainable Capacity International Institute (SCII-ONLUS), critically reviewed of the values and challenges of fair trade as mechanism for indigenous rights and poverty alleviation in Latin America. The remarks were made during the International Roundtable on ‘Sustainable Economic Development, Fair Trade and the Law’ (Rome: February 20-21, 2013), organized by the International Development Law Organization (IDLO) in collaboration with the Food and Agriculture Organization of the United Nations (FAO), International Fund for Agricultural Development (IFAD), and with the support of the Italian Ministry of Foreign Affairs (Ministero degli Esteri). 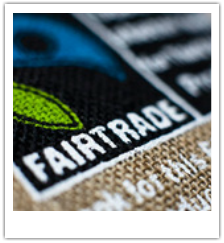 The event saw the participation of international trade and development experts from United Nations Conference on Trade and Development (UNCTAD), the European Commission (EC), the World Bank, the World Fair Trade Organization (WFTO), Fairtrade International (FLO) and Fairtrade Italia. 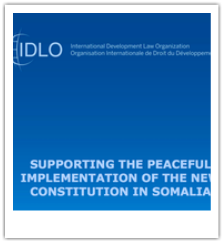 Gen. Chuck Tucker, J.D., currently serving as Interim Director of Programming at IDLO, offered introductory remarks and international development legal insights in relation the initiative. The panel of international experts reviewed the challenges and opportunities for utilizing fair trade development initiatives for increasing food security and resources management in some of the most impoverished indigenous communities in Chimborazo, Ecuador. Delivering on the promise of the United Nations Declaration on the Rights of Indigenous Peoples, IDLO has coordinated a legal empowerment development program in Ecuador establishing new partnerships to secure fair trade and more sustainable livelihoods. The follow up of this initiative is the publication of a Compendium of Innovative Legal Practices for Fair and Sustainable Trade. Read more on the initiative here. The World Engagement Institute, represented by Dr. Marco Tavanti and Ms. Liz Wilp, participated and presented at the World Bank Annual Conference entitled Law Justice and Development Week (December 10-14, 2012). 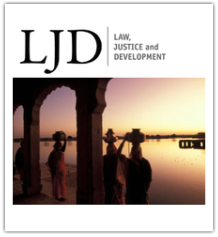 The International Development Law Organization (IDLO) was a partner of the Global Forum on Law, Justice and Development and organized thematic working group sessions on the outcomes of Rio+20 entitled: Progress on Law for Sustainable Development. The conference was coordinated by the World Bank Group with events organized by the legal departments of the World Bank, International Finance Corporation (IFC), Multilateral Investment Guarantee Agency (MIGA) and International Centre for Settlement of Investment Disputes (ICSID). Highlighting the work of Peruvian economist Hernando de Soto and ILD, this year’s forum explored how law and justice contribute to better development outcomes through opportunity, inclusion and equity. Dr. Tavanti proposed insights on social, legal and participatory rights for indigenous people in a presentation entitled Resources, Rights and Responsibilities: A social, indigenous and institutional integrated framework for community tenure rights. Based on his studies with Dr. Alfredo Sfeir Yunis integrating human rights with sustainable development, he suggested an indigenous human rights for sustainable development centered around the Free, Prior and Informed Consent (FPIC) articulated in the International Labour Organization (ILO) Convention 169 and reiterated in the United Nations Declaration on the Rights of Indigenous Peoples (UN-DRIPS). Ms. Wilp shared insights on indigenous Maya educational rights in a special session on Guatemala preparedness for Reducing Emissions from Deforestation and Forest Degradation” (REDD+). She shared fundamental educational rights emerged in the 2012 United Nations Conference on Sustainable Development (RIO+20) and reinforced by numerous documents and initiatives during the Decade on Education for Sustainable Development (UN-ESD). Read more about the conference here. 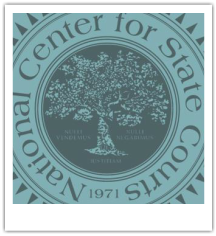 Peter Coolsen, member of the Board of Directors of the WEInstitute and of the National Association for Court Management, co-authored a publication emerged from the 4th National Symposium on Court Management. Summit papers and the emerged Ten Principles for Court Governance are essential insights for any court system that is concerned about effective management, good governance and open communication. Chief Justice Christine M. Durham and Dan Becker, State Court Administrator from Utah presented their paper on “A Case for Court Governance Principles” from the Utah perspective of a unified state court system with a constitutionally established judicial council. The dialogue was framed by a set of ten unifying principles required of effective court governance in any state, regardless of their organizational model. The unifying principles are: 1) a well-defined governance structure, 2) meaningful input in the decision making process from all court levels, 3) a system that speaks with a “single voice”, 4) selection of judicial leadership based on competency, 5) a commitment to transparency and accountability, 6) independent authority to allocate resources and spend appropriated funds, 7) a focus on policy, delegation to administrative staff and a commitment to evaluation, 8) open communication on decisions, 9) positive external relationships that foster trust among other branches and constituencies and 10) clearly established internal relationships throughout the state court system. 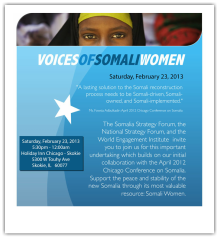 Read more at http://www.ncsc.org/4thsymposium. The House of Charity (HOC), in collaboration with the Somalia Strategy Forum, two of WEI organizational partners, have facilitated a medical shipment initiative in Somalia. The beneficiaries of medical equipments and books are Somalia based university medical programs. In a country devastated by extreme poverty, major infections diseases and an ongoing conflict targeting medical graduates (see December 4, 2009 attack), supporting medical schools is a priority. 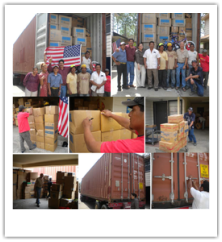 Thanks to the coordination of The House of Charity, an experienced organization in international humanitarian relief, a 40 ft container was sent off to the United Nations support office in Mogadishu on March 28, 2012. The House of Charity, SSF and WEI recognize the importance of bringing healing and systemic solutions to impoverished and distressed population around the Globe. The shipment of Medical and Disaster Relief to Somalia's medical schools was coordinated by World Resources Aid under the Hospital Upgrading Program. Worldwide Resource Aid, an initiative of The House of Charity, is an extension service to the core mission of the 501(c)3 organization dedicated at providing high-quality life and education essentials and world-class medical and surgical care to improve the life and health of impoverished children and youth around the world. The Medical Missions Abroad Program of The House of Charity focuses on providing surgical and medical treatment to children and young adults in their home countries, training of local doctors and nurses, and supplying necessary medical equipment, furnishings and supplies to charitable hospitals. In extreme cases, if the treatment is not possible in the host country, The House of Charity brings the child to the United States for specialized medical care. All services and items provided by The House of Charity are absolutely free to the recipients. In the name of the Somali beneficiaries, the WEInstitute is particularly grateful to our associate Ms. Hashmat Effendi, Sitare e Imtiaz, Mr. Mohammad Adil “Mak” Khan-Qasmi for her leadership, support, collaboration and hard work that made this project possible. Gen. Chuck Tucker (Ret. 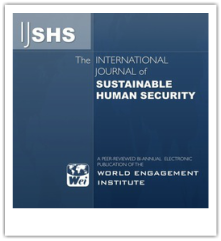 ), Executive Director of the World Engagement Institute contributed to the World Justice Project Expert Network's Report of Key Findings and Recommendations on the Rule of Law and Counter-Terrorism. The current report seeks to capture wider observations, and to summarize the key findings and recommendations of a three year multi-national, multi-disciplinary project, regarding what the rule of law means in the context of counter-terrorism. 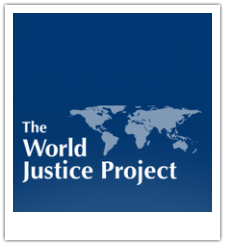 The project was conceived in 2008 under the umbrella of the World Justice Project (WJP), an ambitious independent and politically neutral, multi-national and multi-disciplinary, initiative which aims to strengthen the rule of law worldwide at the local, national, regional, and/or international level within legal and non-legal disciplines (www.worldjusticeproject.org). 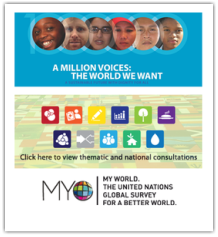 The current report draws heavily upon and in some cases develops the contributions and recommendations of over 40 multi-national, multi-disciplinary experts – drawn from inter alia judicial, practitioner, policy-maker, institutional, academic, policing, military, and civil society perspectives, and from every major region of the world – which culminated in the publication of a significant 1200 page book: AM Salinas de Friás, KLH Samuel, and ND White (eds), Counter-Terrorism: International Law and Practice (Oxford University Press, Oxford 2012). 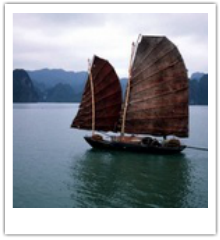 In January 2012, on the occasion of the National Human Trafficking and Slavery Awareness and Prevention Month, WEI associates worked in preparation of a comprehensive anti-human trafficking training program. Conscious that human trafficking is modern slavery in our global societies, WEI commit to offer professional and competent training on combatting human human trafficking based on the Four-P approach: Prevention, Protection, Prosecution and Partnership. Unfortunately global human trafficking is a profitable business at the expenses of the most vulnerable. It is a multi-billion dollar criminal enterprise that targets vulnerable people for labor and sexual exploitation, destroying lives and tearing families apart. 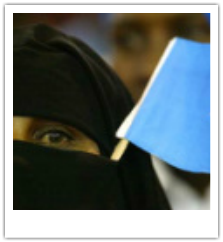 Combating it needs a systemic approach along with committed people who wants to make a difference in the defense of women, children and human rights. The World Engagement Institute (WEInstitute) is at the forefront of Anti-Human Trafficking Programing and training. In collaboration with the United Nations Office On Drugs and Crime (UNODC), the UN Development Programme (UNDP), and University of Vietnam, the WEInstitute offers a certificate program “Combating Trafficking in Persons in Southeast Asia: International Training Certificate Program,” Hanoi-Vietnam, planned for July 22-August 1, 2012. We begin the training program in South-East Asia as the context presents numerous challenges and needs for implementing comprehensive anti-human trafficking capacity. 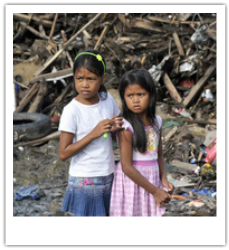 Get more facts about human trafficking and make a difference participating in the training. 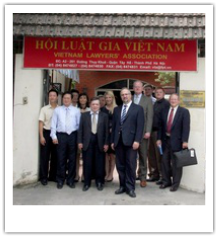 On October 25, 2011, a WEI delegation visited the Vietnam Lawyer Association (VLA) in Hanoi. Following our meeting we signed a Memorandum of Collaboration that would lead us to expand our presence in Vietnam in view of future programs and projects. Currently Dr. 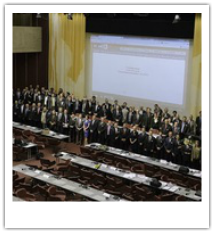 Le Van Cam, distinguished international fellow, Dr. Dr Nguyen Khac Hai, international research fellow, are actively involved with as they edit the Law and Development Journal. The visit was held after a selected group of international scholars presented at a conference organized by the University of Vietnam, School of Law - Center for Criminal Law. The topics discussed during the conference entered around its theme: "Human rights protection by Law in the field of criminal justice: Vietnam Situation and International experience"
The World Engagement Institute co-sponsored The United Nations Peace Operations and Law Symposium held for the first time in Chicago on July 6-8, 2011. The Symposium's purpose was to present senior coalition military and civilian leaders with a forum to discuss and evaluate current and future peace operations, humanitarian relief and international disaster relief challenges facing the US Military and to identify ways to maximize our readiness to support these missions. This year's topic was A Decade of Peace Success and Failures in Peacekeeping and SSTR (Stability, Security, Transition and Reconstruction) Operations that have Influenced Current Operations, Impacted Emerging Missions and Fostered State to State Partnerships. 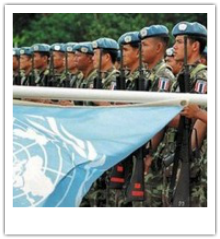 Learn about the UN Peacekeeping Operations here. Read more about the conference here. 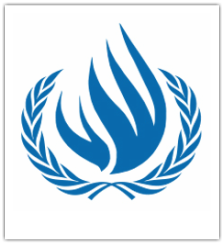 On May 2011, the World Engagement Institute contributes to the UNHRC Report of the International Commission of Inquiry to investigate all alleged violations of international human rights law in the Libyan Arab Jamahiriya. Prof. Pat Szczerba and her assistants prepared a background research document to help the commission headed by Prof. M. Cherif Bassioni for the investigation on the alleged human rights violations. The commission decided to consider actions by all parties that might have constituted human rights violations throughout the Libyan Arab Jamahiriya. It also considered violations committed before, during and after the demonstrations witnessed in a number of cities in the country in February 2011. The commission reviewed all allegations raised in connection with issues arising under its mandate. It studied a large number of reports, submissions and other documentation either researched of its own initiative or provided by others, amounting to more than 5,000 pages of documents, more than 580 videos and over 2,200 photographs. The report commends the good works of NGOs like the WEInstitute saying "It should be noted that the reports received by non-governmental organizations were useful and, apparently, reliable. The reports received from Government sources and those of the National Transitional Council did not, however, reflect the same evidentiary qualitative standard. Government reports contained mainly either general denials or specific allegations not supported by evidence."